Bring family time back. 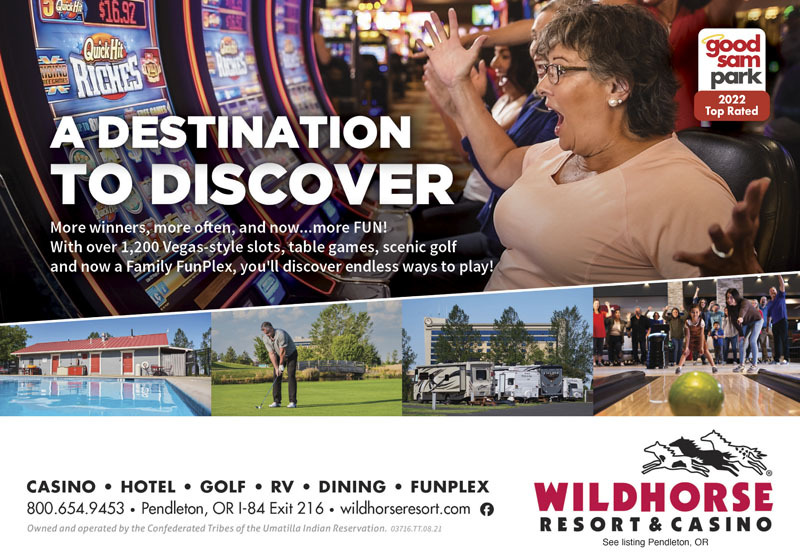 At Wildhorse Resort & Casino RV Park and Tipi Village, family time can be action packed, relaxed and pampered or somewhere in between. Entertainment for the whole family! Oh, and free WiFi. We stayed here last year on Dec 31 and with Good Sam paid $37.50 . Pulled in tonight at 5:15 pm in rain and hail. Office closed so phoned in at office. Informed rate was $65 plus tax as it was the holiday rate for two nights Dec 30 and 31 . There were 3 trailers in site that probably holds about 50 ! In winter in cold and rain , I would not say it is prime time to be almost doubling the rates . We are Canadian and this with tax is $100 ! Absolutely a rip off. Needless to say , we put that money towards filling our motorhome gas tank, ran our generator for4 hrs and dry docked in casino parking lot with the other10 rigs. If it was $40 would have stayed in RV site. So because you charged this ridiculous amt , you lost $400 or more by people parking for nothing. Had planned on coming into casino but said “ no, won’t be spending any money there “ . We come through Pendleton every yr on our way south so you have now lost our business for many years to come . Very poor decision on owner/ managers to try and gouge people ! The RV park was very nice, if you weren't a regular, staying for a longer stay than a 3-4 nights, you didn't get the paved sites. The ladies bath room was clean, the laundry room was TERRIBLE, I had to completely wipe the washer inside and out, and the dryers looked like they were never cleaned, dust and dirt all over. If you don't mind smoke the Casino/restaurants are clean, but even the non smoking area in the restaurant had a strong cigarette smell. The food was below average. I had the French dip and I got one little piece of meat with lots of bun. This is not a place we'd return to! Very nice place to stay. Easy to get in and out. The only shade possible woud be in the backins. The rest of the park iis full sun. Park grounds and sites were clean and in good condition. Restrooms were not up to the "10+" rating depicted on site, in fact they were not cleaned once during our 2 night stay. This was a rest stop-convenient to I-84. On a Saturday night, 100 spaces and almost all full. Crowded spacing, restrooms are OK. The buffet was good at the casino. Big sites with easy access, clean restrooms, good (if slightly small) laundry. Helpful staff. Very quiet. It's often full, so make reservations. Nice clean park, with friendly staff and very clean laundry room. No TV, so that was somewhat disappointing. 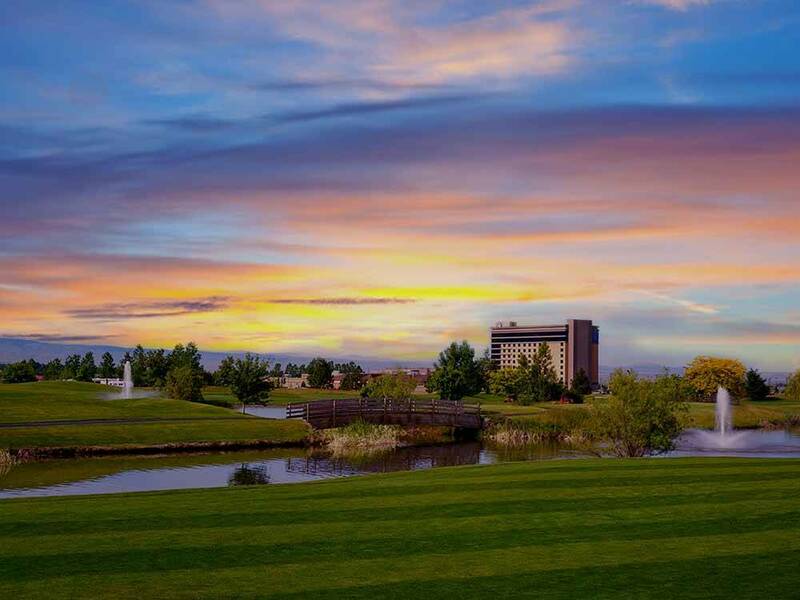 This is a great RV park with Pull Thru sites, close to a golf course and casino. Great place to stay.